We Build and Extend Your Store, Together. 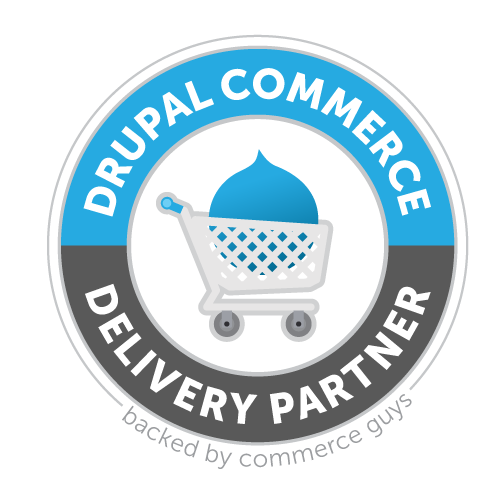 Commerce Guys, the software company behind Drupal Commerce, partners with experts in other disciplines to provide merchants with the best combination of excellence, economy and efficiency. We create a “Dream Team” for your development project with our Delivery Partners and offer the best extensions for your website through our Technology Partners. With proven skills and competency, along with years of experience implementing Drupal and Drupal Commerce, our Delivery Partners are committed to your success. They also have the backing and support of Commerce Guys to ensure that your site is delivered on time and on budget, and that you have the support you need when you go live to solve problems quickly. Review our Delivery Partner listing or contact us for guidance on who to consider. Or, if you have your preferred integrator, we are happy to work with and support your project through them. Together we will work with you to ensure that the scope is clear, the architecture is solid, and that the functionality you expect is delivered. A great website requires great partners. You need payment gateways, analytics, shipping providers...the list goes on. Sifting through the thousands of technology providers is a daunting task. We help you narrow the field by pre-selecting vendors with excellent reputations and products presenting them all in one place: Commerce Marketplace. We’ve already done the work to ensure these services will be easily integrated into your Drupal Commerce site. You just select your preferred providers, follow the easy set-up instructions, and enjoy the results!